Using the market, market dynamics and market actors to achieve development goals is a core principle of value chain or market system development approaches that are common to many IFAD financed loan and grant project in Asia and the Pacific (APR). Yet, successful pro-poor interventions into value chain and market systems and particularly successfully scaling such interventions, requires solid capacities on VC and MS functioning and comprehensive skill-sets to facilitate sustainable changes in the market context. 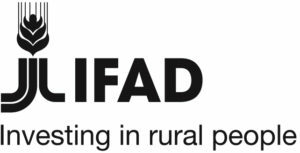 Studies results show however, significant gaps and variability in the capacities/competencies of IFAD implementing partners were the common issues of many IFAD financed loan projects in the region. To address these challenges, IFAD grants a Project “Regional training network for scaling up of pro-poor value chain programs” aiming at establishing a self-sustaining network, comprises regional and national centers of excellence, able to provide capacity building services to strengthen the capacity of the Governments and particularly the IFAD implementing partners in India, Bangladesh, China, Indonesia, Myanmar, Vietnam and Laos in identifying, designing, implementing, measuring and upscale pro-poor value chain initiatives. The project was defined to leave behind a self-sustaining network that continues to deliver services to IFAD and other donors and development projects with VC/MSD components and pro-poor orientations. Besides, the project also aims to contribute to better enabling environment for the implementation of pro-poor value chain initiatives by generating evidence for multistakeholder policy dialogues and advocacy. 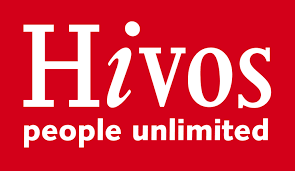 The project is being implemented by a consortium of HELVETAS Swiss Inter-cooperation and Hivos. 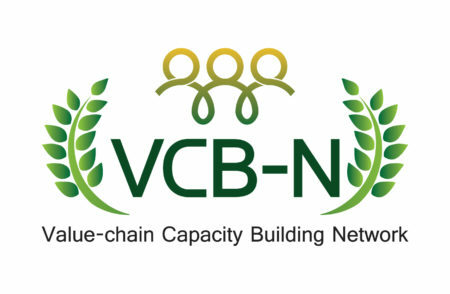 Within the framework of this project, the Value-chain Capacity Building Network – VCB-N was founded in 2016. The VCB-N is currently pulling together expertise from six countries (Bangladesh, China, India, Indonesia, Lao PDR and Vietnam) including 11 organizations in the region that specialize in professional training, capacity building, policy research and project design and implementation support. The access to a thriving network of qualified consultants / experts working in the region, allows the VCB-N to offer needs-based and tailored 360 degree VC solution support to its clients. As the VCB-N matures, new countries and members are expected to join in. During the second Annual General Meeting of the VCB-N in November 2018, some milestones in the maturing process of the network were celebrated. 11 members of the VCB-N signed a membership agreement formally accepting the newly minted VCB-N Charter and Business Plan and committing to comply with the financial and in-kind contributions contained in the Charter. This step is, besides confirming the genuine commitment of members to the VCB-N, significant in terms of the transition from a project-funded to an independent and self-sustaining network. During the same AGM, the out-going chair of the VCB-N Dr. Tabrez Nasar, representing the Institute of Livelihood Research and Training (ILRT) India, passed the chairmanship to the new VCB-N chair Mr. Rubaiyath Sarwar representing Innovision Consulting, Bangladesh. At output level the VCB-N has also stepped-up its delivery. Its members started delivering trainings and advisory services (Scoping survey, field implementation, policy analysis and dialogue, analytical studies etc.) to IFAD loan projects in the 7 project member countries. The network also intends to expand their coverage in other country in the region such us Nepal and Sri Lanka.